Global consumer goods giant Proctor & Gamble (P&G) entered the Japanese market in 1973, acquiring the Nippon Sunhome Company—just three years later, its first product in Japan, the laundry powder ‘Cheer’ had become a best seller. An international marketing leader, in recent years it has had to adapt to changing market conditions and also to think about its own ‘P&G’ brand. The ride in Japan has not always been easy— with headquarters in Kobe, the company was severely affected by the 1995 Hanshin earthquake and some brands, such as Pringles, have faced turbulence caused by regulatory violations. Nevertheless, P&G and its affiliated brands have managed to maintain the trust of the Japanese consumer. How has its marketing techniques adapted to a constantly evolving and notoriously fickle market? A look at some of their success stories and strategies is illuminating. External Relations Supervisor, Daisuke Hase, sums up P&G’s marketing mantra in one simple phrase: “Receptive messages in receptive moments. We have two moments to touch consumers, when they choose the product in the store and when they use it at home—what we consider the ‘two moments of truth.’ The first moment is what we focus on seriously when marketing products.” But how to influence consumers to purchase a particular product in an over-saturated market? To narrow in and strengthen advertising effectiveness, the company employs another principal, “Who, What, How.” Here marketers pinpoint a product’s target demographic (who) and image (what) in order to determine what vehicle (how) is most effective in relaying their message to consumers. These are simple marketing principles, but not something to be taken for granted. P&G views the competitive nature of the Japanese market and the fickleness of consumers as a challenging but important factor in their success. As former president Werner Geissler observed, “The consumers in Japan are most demanding in the world in terms of product quality, and there are superior competitors in the market. We believe Japan is the toughest market in the world and competing in such an environment makes us work better, stronger and quicker. Japan is the source of our innovation.” This difficult test market is the perfect arena for P&G to hone its marketing skills. For P&G innovation does not necessarily equate to product innovation alone. Focusing on transforming the way a product is seen by consumers instead of changing the formula itself is one of the keys to the company’s global success. 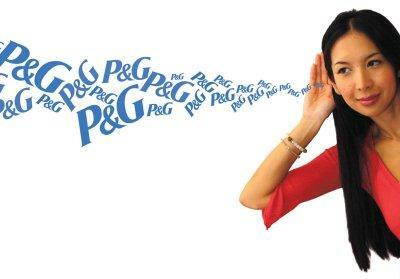 Febreze odor removing fabric spray is P&G’s crowning glory in innovative marketing. Febreze odor removing fabric spray is P&G’s crowning glory in innovative marketing. Although Japanese consumers are known to be very sensitive to odors, surveys indicated that many felt the smell of home fabrics was unavoidable and thus no product existed exclusively for fabric odor removal. P&G’s first challenge in marketing Febreze was to create both a new product category and to create consumer demand. 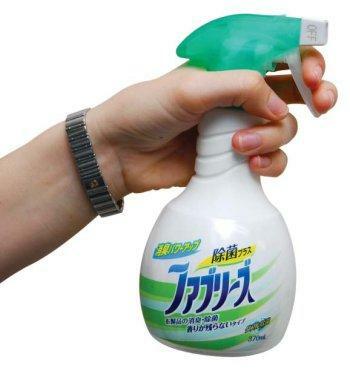 To do so, Febreze was first promoted under the concept of “Clean the un-washable; detergent for washables, Febreze for everything else.” With advertisements focusing on the moldy smells of laundry hung to dry indoors during Japan’s rainy season, as well as the smell of sweat that un-washable futons exude in summer, P&G created the need for Febreze by instilling in consumers the habit of spraying down clothes and bedding on a daily basis. Another area in which P&G has made strides is marketing using educational information. While globally the company has been making a move to online media for some time, P&G Japan took its first foray into informative marketing with the “womama” website in 2006. Providing new and expecting mothers with information related to health, beauty and child-rearing, P&G aimed to work with other companies to provide totality in the site’s content but found a lack of available collaborators and trouble linking the site to in-store campaigns. As a second try the company then brought the global “BeingGirl” website to Japanese shores, providing its teenage target demographic with health and beauty information under the same “For Girls, By Girls” premise as its international counterparts. The site, a vehicle for promoting the feminine sanitary product Whisper, was highly successful, but P&G soon realized that its target was not a group of desktop PC users. With over 90% of high school girls connecting to the Internet on their mobile phones, according to a report by Impress R&D, the company turned its attentions to the cellular world. In early 2007, a collaboration with Sony Digital Entertainment produced the interactive mobile site “BeingGirl ∞ Hitokoto” under the same theme of providing a forum for beauty, fashion and health as well as weather and horoscope information. Again, focusing on Whisper products, the site features an email service that sends out alerts notifying users of the “four periods” of their menstrual cycles. By November of the same year, the site had over 32,000 registered users and was nominated in the Asia Mobile Awards 2007 for Best Mobile Advertising. As with other developing strategies, Japan is currently the learning center for mobile marketing before P&G expands the concept globally. However, while Hase adamantly insists the company does little corporate brand promotion, P&G’s factsheet boasts a long list of activities to the contrary. Since entering the Japanese market, it has contributed to various scholarships, given significant financial support to local schools, donated over US$1 million to victims of the 1995 Great Hanshin Earthquake, and funded the establishment of a counseling center for working mothers. P&G also provides marketing advice for their home city of Kobe, as well as accepting inquires from foreign companies considering a move into the area. 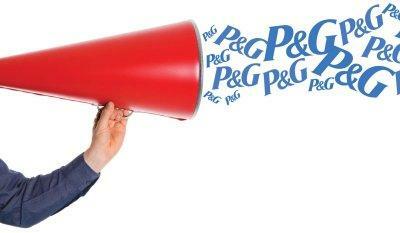 P&G creates its innovative reputation often through word of mouth rather than PR. The company naturally stands out with policies that could be considered progressive and unusual compared to more traditional Japanese companies. Striving to be not only female friendly but also female empowering, P&G offers career and child care counseling, attractive maternity leave packages which let women continue where they left off, and prides itself in creating an environment that promotes equal-opportunity for management positions. These practices garnered both attention and award from publications such as the Nihon Keizai Shimbun and The Hyogo Labor Bureau. While the company says nothing like Tremor is in the works for Japan, it has ventured into viral marketing. When P&G decided Herbal Essence needed a makeover, they teamed up with actress/singer Anna Tsuchiya and created a hoax where the starlet suddenly “disappeared.” A week later she returned, claiming that she had gone off in search of paradise—and come back with Herbal Essence. The effect worked, and news of both events and information on three new products spread rapidly around the Internet. Thanks for your new info about the market in Japan.